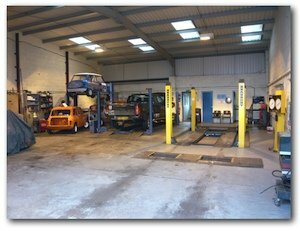 Robinson’s Garage is owned and managed by me, Mick Robinson, where we offer MOT, car service and repair facilities in Barrow upon Soar, Leicestershire, for all makes and age of vehicles. Along with my son Ashley, and good friend Kenny, we are a friendly, helpful, family run business where our emphasis is on customer satisfaction and repeat business. The amount of repeat business that we consistently get means we know we’re doing something right!! So thank you to all the loyal customers of Robinson’s Garage for your business over the years. 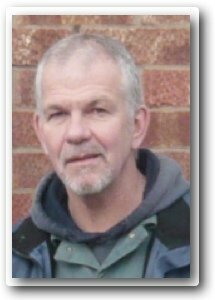 I have been servicing and repairing cars ever since my apprenticeship days at Renault, Loughborough, 25 years ago in 1985. After completing the apprenticeship, I then worked at Stevenson’s Garage in Barrow upon Soar for the next 15 years or so. Robinson’s Garage was formed about ten years ago in 2001 when we bought the business from Stevenson’s and established it in our own name. At first, we continued to run the business from its existing premises behind the petrol station on North Street in Barrow until 2005, when we moved to larger premises on Sileby Road, Barrow upon Soar. We have continued to thrive and grow as a business over the last 10 years. Kenny, who has been a mechanic for over 10 years, joined us in 2004, and my son Ashley came on board in 2008. We are all certified mechanics and pride ourselves on the work we do. We believe a job has to be done right. You’ll get no nasty surprises when you deal with Robinson’s Garage. We phone to confirm prices with you before we start work, and we ensure that you only pay for what needs to be done. We always aim to offer a very friendly, fast and reliable service with competitive pricing. A combination that you don’t often find elsewhere! will be pleased to help. Check our Services Page to see the full range of what we offer. No job is too small!